This EPIC Series Special Edition is built in close collaboration with the mousesports eSports team, clad in their colors and logo. 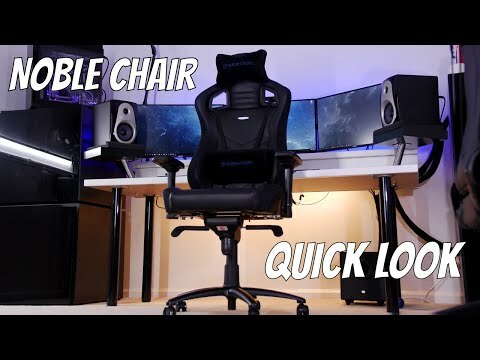 Offering comfort, style and quality, this chair is an excellent choice for fans to show their support in style and to have the best support for longer gaming sessions. Built with an ergonomic form that curves with and protects the natural shape of the back, the EPIC keeps its passenger supported even during extended periods of use. The cold foam upholstery is denser than average, causing it to be more firm and resilient to wear without sacrificing even an ounce of comfort.Inspired by the interiors of the world’s greatest super cars, our designs are subtle and eloquent. This sleek red and black model is equipped with numerous customization options to allow you to sit at whichever position and angle suits you best. 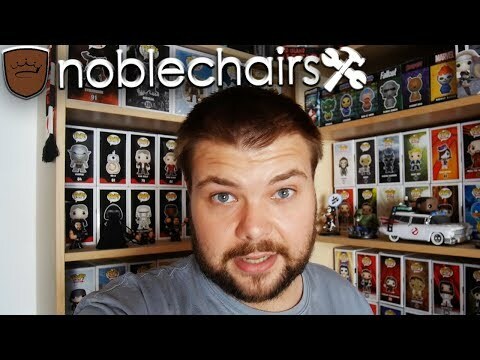 noblechairs creates premium products. We spare no expense in ensuring that our products are the very best in the business, merging impeccable design with the very best materials and unfaltering workmanship. Our goal is to provide a chair that is an experience, a lifestyle choice. A subtly debossed logo of the timeless noblechairs crown adorns the headrest, closely accompanied by an aluminum emblem which shines brilliantly on the backrest. Every seat is finished with gorgeous diamond pattern stitching to further heighten the sense of exclusivity. Poorly built chairs can cause long term damage to the back, eventually resulting in lifelong medical issues. Thanks to design decisions we’ve made, all noblechairs will provide incredible ergonomic support. The backrest conforms to the shape of the back in a way that naturally improves posture, while the freely included head and lumbar pillows provide additional support keep you comfortable through sessions of any length. Our chairs possess the widely recognised DIN EN 1335 certification, UK Fire Safety Regulations (BS 5852) certification and BIFMA accreditation for office chairs. We take our suspension very seriously, handling it with same importance afforded to the underside of a supercar. Thanks to our advanced tilt system the recline and height are both completely customizable. A locking mechanism is in place to enable sublime comfort in whichever position takes your fancy at the time. This means that, should you wish to, you are able to tilt the chair and lock it in place, allowing you to relax without fearing a loss of balance. We created the world’s first real leather gaming chair. Despite this, noblechairs also produces faux leather variants of its models with covers made from high-class polyurethane. Our hand-picked PU is durable, comfortable, easy to clean and waterproof, which when combined with a cold cure foam core provides incredible comfort and ease of use. Not only the height of luxury, our real leather seating lines are incredibly resistant to damage and moisture, simple to clean, and breathable to maintain a comfortable temperature in any weather. Our 4D armrests are endlessly customisable. With numerous options for height, depth, width and angle there is sure to be a configuration for every user. Soft to the touch and a comfortable place to rest the arms; these polyurethane armrests are firm and well-textured enough to maintain grip effectively. Every slice of perfection needs a strong foundation. We utilize incredibly tough, light aluminum to create a stable platform for noblechairs to rest on. Our bases are incredibly resistant to corrosion and rust of any sort, and thanks to the design choices we’ve made they have the capability to support body weights of up to 120kg with ease, even while reclining backwards. Class 4 hydraulic pistons are the highest rated in their class in terms of safety and efficiency in use. With 99.9% consistency and amazing reviews, they will serve you well for years to come. Each of our chairs sits atop 5 60mm nylon casters, which are then coated in Polyurethane in order to allow them to glide on all types of surfaces. 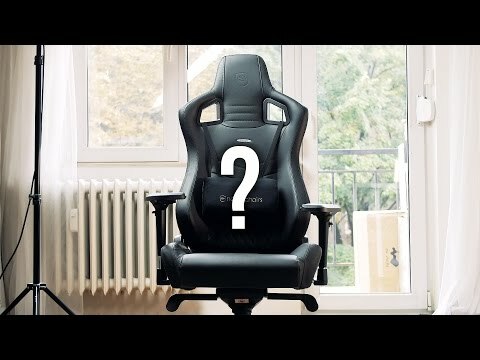 Noblechairs EPIC Real Leather Chair - Is it Really Epic? 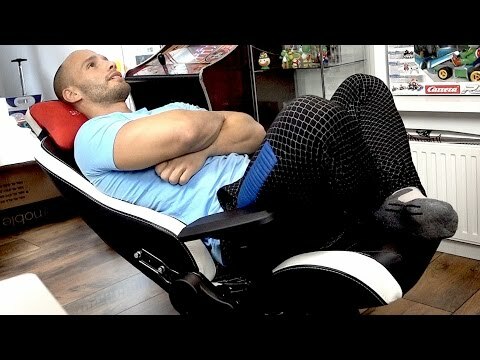 Can I Return My Chair? The chair can be returned within 14 days of having received it, in accordance with the Consumer Rights Directive 2011/83/EU in all EU member states. Check your respective retailer’s shop pages for more information about the shipping and return options, or contact our customer support directly. How Long Is The Manufacturer Warranty? 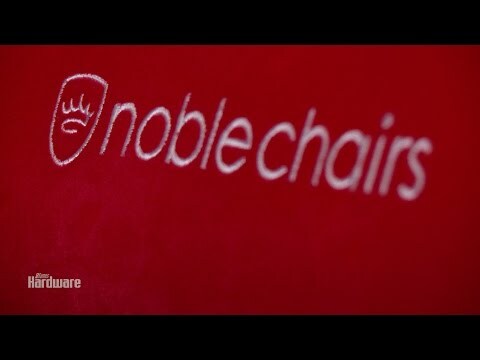 noblechairs grants 2 years of manufacturer’s warranty starting from the day you’ve received your chair. Natural wear through regular use is excluded from the warranty. All warranty handling is managed exclusively by our direct distribution partners: Caseking and Overclockers UK. How Long Will My Chair Take To Arrive? Please contact your supplier – shipping will be managed by them and as a result any kind of delivery time will be under their control and responsibility.